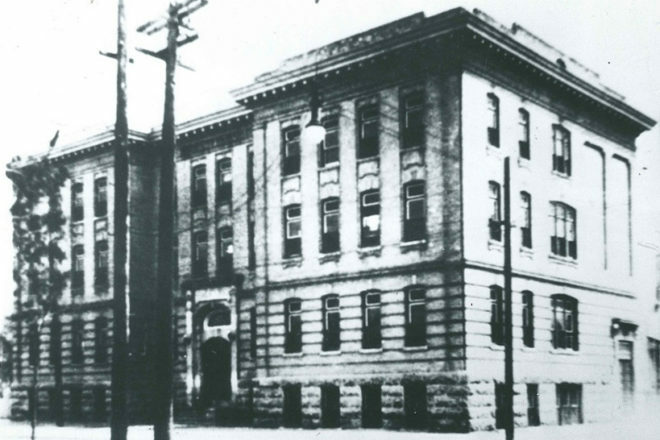 The building currently known as the German Society of Winnipeg Clubhouse, was built in 1912 opening as the “Hebrew Free School” in 1913. 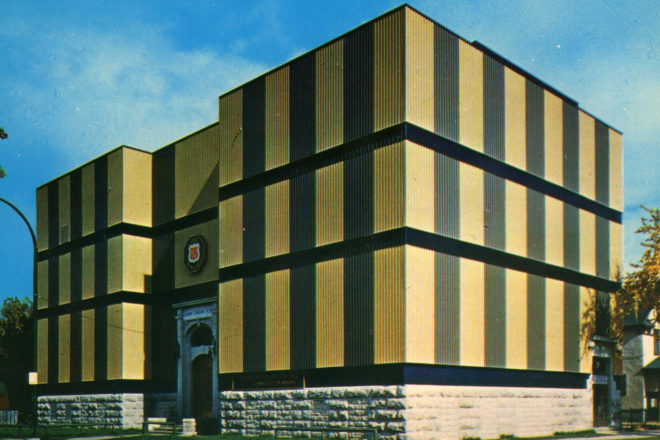 According to the Manitoba Historical Society the school was considered to be among the three best Talmud Torahs in North America (the others being in New York and Boston). They closed their doors in 1951. The Deutsche Vereinigung Winnipeg/German Society of Winnipeg (DVW/GSW) was looking for a larger space to house their growing membership. The building at 121 Charles suited their needs perfectly. So, they purchased it and with the input of many volunteers the building was extensively renovated and officially opened as the DVW/GSW on April 17, 1953. Although the exterior is plain, the interior is furnished in the style of German buildings from the “Old Country”, featuring artwork from some of its past members. Saturday mornings, the club is open for Breakfast at 0900hs. For Fussball/Soccer fans the Bundesliga Room is open to catch the latest German League games on a large screen. Guided tours will start every 60 minutes, lasting 25-30 minutes, maximum 20 participants.